Finland is the theme country of the Congrès International d’Esthétique & Spa in Paris, and the Finnish sauna experience is in the limelight. The international beauty and spa conference Congrès International d’Esthétique & Spa attracts almost 30 000 visitors from around the world to Paris on 6-8 of April, 2019. Sauna from Finland, a network which promotes the Finnish sauna experience internationally, has been invited to the event as an honorary guest. Satu Freyberg, the head of international marketing of Sauna from Finland, says that Finland and the Finnish sauna are the spotlight of the three day event. – We’ll present all the aspects of the Finnish sauna experience in our presentations on Saturday and Monday. The visitors of the congress get tips for building their own Finnish sauna experience. They also get to try sauna products on the spot. We will present the Finnish sauna experience and Finland as a travel destination at our booth in the main hall, Freyberg says. The Finnish sauna is now trending more than ever, but the experientiality of the sauna is not yet internationally known. Sauna from Finland promotes the Finnish sauna in the international markets as an overall experience which improves wellbeing, health, and relaxation. – There’s still a lot of work to do so that the versatility and the quality of the Finnish sauna experience will be recognized globally. Congrès International d’Esthétique & Spa is an excellent opportunity to raise awareness about the Finnish sauna experience in France. Sauna in the French markets has a lot of growth potential, says the Executive Director of Sauna from Finland Carita Harju. Different elements of the Finnish sauna experience will be presented by a varied bunch of Sauna from Finland member companies. The booth will have three saunas, and sauna products, cosmetics, textiles, and travel destinations will be on display. One of the participating companies is Saunastore, which has provided high-quality and elegant sauna solutions for over 25 years. The CEO of Saunastore, Tapani Aho, looks forward to the congress. 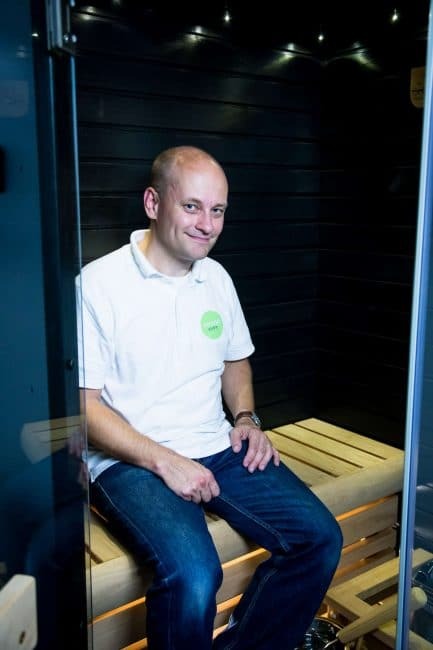 – We’ll launch a new sauna solution in Paris. I am really interested to hear feedback and comments from the visitors of the congress. By meeting people and listening to their views and ideas I get valuable information about the markets and new customers in France. In addition to Saunastore, one can meet representatives from the following companies (Porte de Versailles: hall 5/booth 6): Ecofurn, Frantsila, Harvia, Hukka Design, Mellis, Narvi, Nowene, and Osmia. Sauna from Finland is a network of 200 companies working for the best sauna experience in the world. It promotes and markets the businesses of the Finnish sauna experience both in Finland and internationally. The members of the network are professionals and experts of the sauna and wellbeing industry, both in services and products. The biggest event of Sauna from Finland is World Sauna Forum, which is organised in Tampere on the 3- 4 of October, 2019.